Protective high grade storage case. 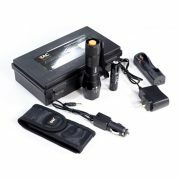 The TC1200 Flashlight is IP 65 certified waterproofing and high-caliber components and currently used by U.S military and law enforcement agencies across the U.S.
Click Here for FOP Member Special Buy One Get One Promotion + Free Shipping! 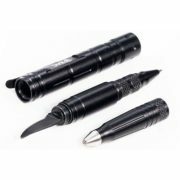 Our All-Weather Tactical Pens let you write, light, slice and thrive in all weather conditions. Milled from Air-Craft Grade aluminum with integrated CREE LED technology, the Tactical Pen from 1Tac is built and priced to sell.